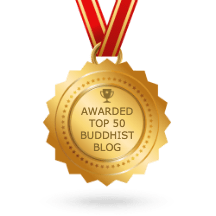 Dear Buddhist Fiction Blogger . . . In this post, my aim is to respond to these requests, however, I am very sure I cannot provide decisive advice. You see, for my academic purposes, the category name “Buddhist fiction” is a convenience that allows for the grouping together of a wide variety of popular fiction works across a breadth of sub-genres (mystery, adventure, romance, etc.) that narrate experiences of Buddhism (Theravada, Mahayana, and Vajrayana) in a multiplicity of ways, times and places. For authors of Buddhist fiction, the category label is a challenge on two fronts: 1. Is the novel or short story truly Buddhist and not just a conflation of ideas about karma and/or rebirth and mysticism that is better suited to new religious movements? ; and, 2. If it is Buddhist fiction, how does the author pitch the work to publishers who seem to want nothing to do with fiction about Buddhism? Tackling # 1. Author Liz contacted me recently to let me know that she has already submitted to publishers a present day Buddhist romantic fiction based on a Lotus Sutra quotation. Joseph McKinley’s soon to be published ebook The Bearer of Grievances will be available on Amazon on 4 April, 2016. He said that while the novel is not exclusively about Buddhism, he uses several Buddhist concepts and characters, including the concepts of dukkha and upadana and characters such as pretas. Both of these authors have used what I call Buddhist narrative strands and/or tropes in their novels. When a 20th/21st century novel or short story incorporates aspects of Buddhist suttas/sutras, vinayas, abhidhamma/abhidharma, cosmologies, commentaries, philosophies, basic teachings, classic narratives (jatakas or the Journey to the West) or the writing of great Buddhist monks, nuns, or teachers (i.e. Dōgen), it is perpetuating Buddhist narrative strands and/or tropes. This, to me, indicates the inscription of Buddhist ideas and concepts into popular culture and literature. This, to me, is Buddhist fiction. If a novel or short story is not using clear Buddhist narrative strands and/or tropes but uses ideas of karma, reincarnation, or mysticism in a generalized way, I consider the work more in the realm of new religious movements because of the eclecticism of concepts. Tackling # 2. Whereas I get very excited about Buddhist narrative strands and/or tropes in popular fiction, publishers may not. Author Liz, mentioned above, has not yet had responses to her novel submissions and was wondering if I knew of any publishers amenable to Buddhist fiction. I wish I did, Liz. The Buddhist publishing house Wisdom Publications has tried publishing an assortment of Buddhist fiction works, and rarely do these works do well in sales. They seem to try to publish new Buddhist fiction every decade or so, and the most recent offerings were in 2015 (see posts on Maya and Sid). In fact, it was Wisdom who first published works under the category name of “Buddhist fiction” with short story anthologies Nixon Under the Bodhi Tree and Other Works of Buddhist Fiction (2004) and You Are Not Here and Other Works of Buddhist Fiction (2006). The Buddhist publishing house is pushing the boundaries of the industry. Author Ellis Nelson recently emailed me after the January 2016 post to plug her own YA Buddhist fiction: Into the Land of Snows (2012). As you may have guessed from the title, the novel is set in Tibet. According to the blurb, the protagonist goes to the base camp of Mount Everest and then finds himself on a magical adventure. Leaving aside the issue of Orientalism that accompanies many, many stories set in Tibet and that is extended into the marketing of said stories, the blurb for Nelson’s novel on Amazon says nothing about Buddhism. Amazon classifies this novel under “Books > Politics & Social Sciences > Philosophy > Eastern > Buddhism” and “Books > Religion & Spirituality.” Goodreads reviews, however, describe the work as a coming of age story that teaches basic Buddhist principals. Most publishers who think that they are tapped into what readers want will market books set in Tibet based on politics and spirituality, not Buddhism. I can only guess that publishers base projected sales on historical sales data and vague demographics. I wish someone would alert them to the growing demographic of Buddhists in North America, and indeed, in the Anglophile world. That said, author José Vincent Alfaro emailed to let me know of his Spanish novel that was recently translated into English: The Hope of Tibet. He noted that it had done very well in the Spanish edition, and I noted that he is an “independent author,” which means that he publishes independently. There is a growing number of independent authors of Buddhist fiction, and some of them seem very comfortable with both digital and print independent publications. I would guess,however, that independent publication takes away a lot of time from writing due to the need for self-marketing. Furthermore, many readers feel that novels and short stories put into print by a publishing company or house are somehow “better” because they have been edited and vetted by professionals in the field of publishing. It’s a catch 22 (see what I did there?). Author Marsha emailed to ask: “A lot of fantasy publishers are scared off by Buddhist themes because they feel there’s not a huge market for them. Do you have any advice for me?” She realizes that publishers shy away from marketing fiction as Buddhist. Unfortunately, I don’t have any advice about finding a publisher or an agent. I honestly don’t. I’m an academic writer, not a creative writer (as you can probably tell from this blog). The closest I have ever come to publishing creatively was a very encouraging rejection letter from Vallum about a few poems I submitted for one of their themed volumes. When the particular volume was printed, I bought it and noted that one of my favourite contemporary Buddhist poets, Jane Hirshfield, was published therein. I was thrilled to have had my poems read by the same editors that published her poems in that volume. That is my first slight brush with greatness in the world of creative writing. I mention this brush with greatness not out of any self-aggrandizement, but to bring me to my next, and last, point of this post. I knew who Jane Hirshfield was. Had I wanted to pursue my poetry writing, I would have kept writing and I would have reached out to poets like Hirshfield whom I admire and read. It seems to me what might be helpful is to use this blog, Amazon.com, Good Reads, and other easily accessible resources, to build a community of practice for authors of Buddhist fiction. Reach out to each other – published, not-yet-published, whomever. Read each others’ work and review it. Share information about agents and publishers. Put together panels and seminars at writing conferences and events. Talk to established authors like Ruth Ozeki and Charles Johnson (who, by the way, were established as authors before publishing novels that could fall into the category of Buddhist fiction). Talk about your writing. Talk about your Buddhist practice, or no-practice, since not all authors of Buddhist fiction practice Buddhism. Talk about whether your writing is a form of practice of any sort. Just connect. Good things come from connecting. And that’s the best advice I can give to authors of Buddhist fiction. Thanks go out to my friend Rebecca for listening to my ramblings and reminding me of the importance of a community of practice, which will hopefully benefit the author readers of this blog.